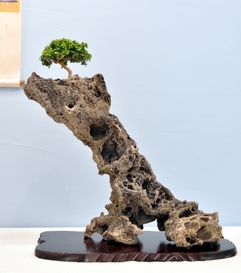 Bonsai is a living art form, with each plant constantly changing under the hand of the artist. It is a painting never quite finished. In fact, it is a painting which can never be finished. 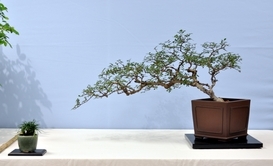 Bonsai also change with the seasons, with each plant having its own unique attractiveness during each season. 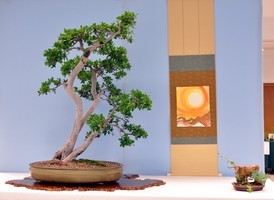 Miniature maples, tiny elms, delicate pines and junipers reflect both the seasons and the climates where they grow. Under our eyes, and in miniature form, we are privileged to watch the budding and leafing out of spring, followed by the flowers and fruit of summer, and the stark, yet beautiful, effect of bare branches against the winter sky. 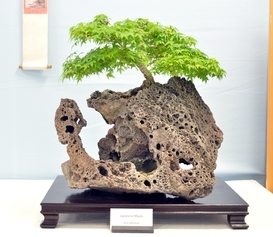 Bonsai is an exciting adventure which cannot be adequately described to those who have not experienced it personally. 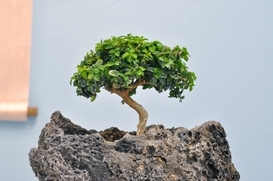 Miniature trees and landscapes, carefully nurtured in the seemingly too small containers, return to us much more than they exact in the cost of creating and maintaining these plants, which soon become our “children.” Bonsai is an adventure in which you can participate with us. 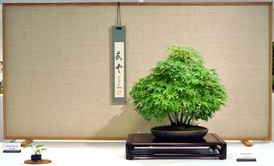 The Austin Bonsai Society wants you and welcomes you! 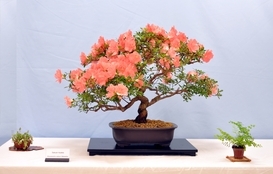 * Monthly Club Meeting will be held on 2nd Wednesday of each month. Visitors are always welcome! Please review the Calendar for a full listing of each meeting and member's workshop for the topic of the month.